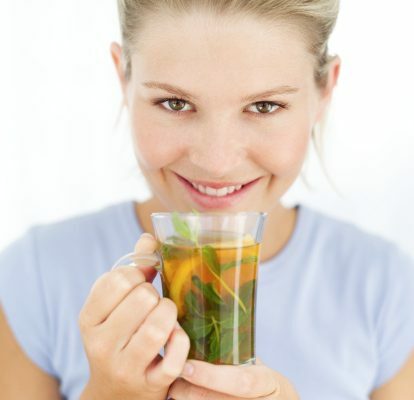 Home » Immune System » Cold and Flu » Does Drinking Tea Really Help in Cold and Flu Prevention? Does Drinking Tea Really Help in Cold and Flu Prevention? In the past decade, tea drinking has increased in the Western world, resulting in massive production and sales of green tea and other types of herbal beverages. The Western world has traditionally used black tea for ages, yet the introduction of green tea from China has been given much attention due to its positive effects on human health. Green tea drinking has historically been a common activity in China, which was then later introduced to Japan and other neighboring Asian countries. The tea craze in the Western world appears to stay for the coming decades, yet it is also interesting to know whether this beverage actually benefits our health. Biomedical studies have been conducted to determine the direct and actual effects of green tea on the human body, often resulting in good results. However, these studies generally involve years of monitoring of study participants and the analysis of the beneficial effects on health may also be cumbersome and time-consuming. Does Tea Do Anything for Cold and Flu Symptoms? In a recent report published in the journal Bioscience, Biotechnology, and Biochemistry, the immediate effects of green tea were examined using a simple approach that may be potentially applied to flu prevention. According to Dr. Shin and colleagues, green tea contains catechins, which are plant-based reagents that serve as an antioxidant in cells and tissues of the body. Antioxidants destroy free radicals that can disrupt proteins and deoxyribonucleic acid (DNA) of cells, preventing potential damage and development of a wide range of medical disorders. In addition, catechins may also increase the production of specific proteins of the immune system, thus helping the body combat the cold and flu. Using an experimental cell culture involving chicken embryos, these scientists introduced the cold and flu virus for subsequent treatment of green tea extracts containing catechins. Specifically, experiments were designed using the H1N1, H3N2, and H5N2 cold and flu viruses, which are the three most common pathogens associated with influenza epidemics across the globe. Determination of flu prevention in these chicken embryos was based on the development of plaques in the cell cultures, which are considered as the main response of the immune system of the cells against the cold and flu virus. The absence of a plaque in the cell culture after the inoculation of the cold and flu virus indicates that the immune system of the cells was not activated in the presence of the pathogen. On the other hand, the presence of a plaque suggests that the immune system was stimulated to fight the virus. The results of the study showed that the introduction of approximately 500 micrograms per milliliter of green tea extract resulted in the absence of plaques in the cell cultures, suggesting that this green tea concentration may be effective in flu prevention. Interestingly, the results of the study also showed that the H5N2 virus, which was the viral strain responsible for the 2009 flu pandemic in Asia, was most sensitive to the green tea extract, followed by the H1N1 and H3N2 viruses. The scientists also used a skin model that was washed with a solution containing green tea extract. This experimental setup was designed to simulate the hand washing using antiviral solutions. The results of this experiment showed that washing the cells with a solution containing green tea extracts prevented the entry of pathogenic viruses into the cells, suggesting that this washing solution may be potentially used for flu prevention.